Okay so this story and drama was...AMAZING!It was mysterious, romantic and all cheesy stuff you can imagine.Yes you can say ''another vampire drama that is same as Twilight'' but your completely wrong!The only thing they have in common is, that vampire falls in love with human.Some people are sad that the drama was too short- 6 episodes, but i think it was enough to tell us whole story.If it were long drama like 1 hour 1 episode i think i would get bored a bit?This was enough and kept me hooked on it! Actors...: I think A-JAX boys did a VERY good job!They are not professional actors but they have potential!Main guy Luis was very cold you can say and vampire like.But i like the fact that even at the end he stayed like that he only add some cheedy lines.He showed his love with his body actions or gestures and the main girl got it and accept him how he is!The supporting actors were also very good, i love the two guys who played guards to his master and they kept loyal to him so that was sweet ^^...And now the frenemy as i call him Reika...Well lot of girls had i think hard time to choose on which side they will stand because Reika was damn handsome!He was evil and good..He was friend with Luis but...his relationship was i think weird...He wanted something so...he kind of used Luis?I don't want to spoil the fun so you must watch it!Anyway all characters were played well.The girl acted i think like i would in real life!At first she was afraid of vampires but than she relalized they are not bad!That's big plus because i hate when a girl screams ''HWAAAA HELP ME VAMPIREEEEE''...-.-..Like really?! Music...:I think A-JAX was amazing and the music..hwaaaa just fit the mood!The lyrics were amazing and fit the drama completely! Rewatching..? :YES!I rewatched it already 3 times and still i keep doing it because it's just so sweet and amazng that i wish i was in the girl's spot because who wouldn't?!!!! Well with 10 min per episode (and there are only 6 of them) you can watch this drama in one day. The story is something from a homemade fanfiction. And actually I enjoyed it, because it is simple, easy to follow and fast paced. But it does lack some more background information, and the interaction between the 2 main leads coudl have been better. And I think they could have better made a movie about this and made the story longer, like a 2,5 hour movie. I really think that would have been better. I found the acting stiff and at times it felt awkward. The music is mostly the same but I did like it. I really did like this drama, but I did rated it low because I have to be honest; the quality of this story and everything isn't that great. 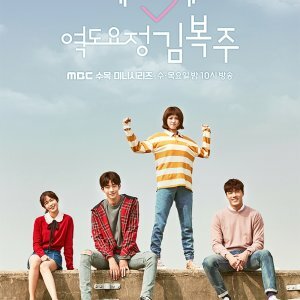 This drama is something for you if you like easy romance and fanfictions. It is easy to follow, got some romance and vampires (and that is always good imo, haha). Okay so this was super cute, but although it was short the story was nice and kept me entertained. I have to say though I can't wait for the next season, I mean there has to be one with how this has ended. The acting all I can say is that I loved them all, they all did amazing jobs portraying their roles. The music was lacking compared to many others but still very much enjoyable all the same. There are not many dramas that I would watch about maybe two or three tops but this would have to go there. It kind of makes me wish it was longer, but just long enough for it to tell some back story of the major characters in this series. But all and all it was an amazing experience and I really enjoyed watching it. 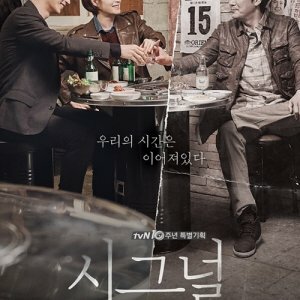 So I came across this drama since it seemed dark and romantic at first glance, perfect for what kind of dramas I love! Gonna review it just 'cause. Very very average. Nothing special. Seen it before over a thousand times, in fact it kind of annoyed me in that because I've seen it so many times where this dark/vampire/demon guy wants to be a lord of his kind or try to stop someone else from being a lord. What mainly stuck me was that each episode was so short, so I was kinda like, "okay, this is a short story kind of thing, i'm curious to what happens." Overall the story was kind of bland, and at the end it didn't leave me with any pleasure whatsoever. It was predictable and not worth watching for the story at all. The ending was bad and unresolved. Again, very very average. Especially for the main male lead, Luis, this vampire/dark/bad boy kind of theme he has. I've seen this same kind of guy in a ton of Japanese manga's, so he's nothing really special, but he's still interesting and not painful to watch. He was very kind which is unusual for a story with vampires or mystic beings in general, they're always presented as rude assholes. I still felt the writers trying very hard with him though... he was definitely the focus of the drama and the writers knew he was eyecandy, so they took it to their advantage. The main female lead was so... SO boring. I don't even remember her name! She was painful to watch sometimes. I mean, she wasn't AWFUL, but it felt like the creators were trying WAY too hard to make her this "strong female character" and they failed... really bad. It just felt so forced and she pretty much felt like the nagging, independent second lead to the first female lead in a romantic comedy. Nothing was special about her, even though they tried to make her special. All the other characters are so incredibly stale and boring, I hated them and they are forgettable, I don't even remember their names or their personalities really, they were so boring. The music was good. Beautiful at times. I'd listen to the music again or add it to a playlist. And the CGI was pretty good for a supernatural-type of K-drama. I've seen so much worse CGI for K-dramas. It wasn't the best but it was believable. Bad. Not believable whatsoever. Not even Luis. I think the closest thing to "good acting" is the female lead's actress. I mean, give it a watch if you like vampires and romance. It's only 10 minutes each episode (that's only an hour of time to watch the entire drama.) There's a CRAP ton of better romance dramas out there, but you do you if you think the atmosphere is interesting. The only saving grace and thing enjoyable about this drama is the romance and Luis, and even then it wasn't good. It gets to the point, sure, but I see that the writers took about 20 minutes to write the entire script and story and just added extra stuff here and there. It was worthless, I didn't cry from it or feel any emotions. Ever so often I'd be like "ha, cute" at the main couple but that's IT. I was never shocked, I was never delighted, literally sat in my bed watching this drama with a blank face on. This could actually be a good series if it had WAY better writers, acting, characters, and expanded on the story. MORE development. The story rushed and made it sound like the audience had been watching the drama for a long time. No. We didn't watch hardly anything of it. Sorry. 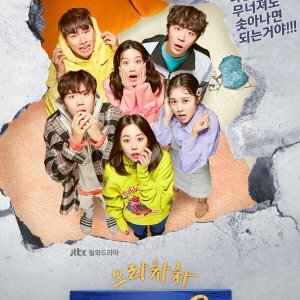 So, you can do something better worth your time (hell, doing homework is more productive and enjoyable then watching this K-drama, in my opinion) or you can be like me, you don't care the episodes are short so you're watching it out of boredom and curiosity. If I were to take into consideration that this is a promotional drama for A-JAX then I would say it's better than most idol promotional dramas. Usually they are cheesy and embarrassing but this one was cheesy and embarrassing with a small plot. However, I'm gonna review this as an average drama so you know if it's something you'd like to watch or not. - Because this drama only has 6 episodes and each episode is 12 min long, the story is weak, it has a lot of plot holes and it has an awkward pace. They could have worked on it more but I guess the budget wasn't enough. I'd say this has the story development of Dora the explorer. - Out of all the characters, only one has a past and a back story. It will not go into detail or make you feel sentimental. It's just there so that the male lead would seem more romantic. - The actors are all very bad. I've seen some of them in other dramas where they do a much better job, so in this one, I will not give them any positive feedback on their acting. It was very awkward and uncomfortable to watch. - This drama has ONE song on it's OST which only fits into the scenes where the characters are happy. So after watching an entire episode without a soundtrack, it really doesn't fit in when they suddenly play that song. - The script was very awkward and didn't really make sense. Except for the dialogue being unnatural, the characters actions and the events that were happening were sometimes very random and lacked motive or logic. - All the character relationships lacked chemistry. This is because of the fast pace of the drama. You don't get any information on how they met, they don't get any moments together that you can think back on to understand their relationship, and you never get a clear explanation of how they all go together. Suddenly they're just a couple. Or suddenly she didn't feel so alone and was happy. Sadly that was explained through words and never actually shown in the show which makes it hard to believe. I don't have anything good to say about this drama. The characters weren't developed and they were hollow. Only one of them had a backstory and it wasn't really that worked out. The dialogues were weird and so were the characters actions. The general pace was extremely speedy which made the show illogical and less believable. It doesn't reach out to it's audience on a emotional level and it has the story development of Dora the explorer. No details, no emotions, no development, no back stories, no relationships, no friendships, it was just a hollow series of events. If you are an A -JAX fan or think the boys are really pretty then watch it. If you like vampires on top of that then you're in luck. If you used to watch Dora the explorer in your youth or if you still watch it, this is your cheese right here!! as others have said, this was definitely very short and could have been made into a longer series, however it was long enough to get the story across. the story was quite cheesy and cliche but i still found it enjoyable considering it was short. personally i wasn't looking to watch a very well developed and long series when i watched this, i was just looking for something short with enough entertaining moments which is what it gave me. if you're bored and just want to watch a quick cute but cheesy series with a bit of action and mystery, i do recommend it. if you are looking for something with amazing acting and well developed characters and plot, this isn't for you. I liked it but it was nothing amazing probably beause it was too short. The story seemed to end too soon. I would have enjoyed a detailed story with the background of each character dealt in more detail. 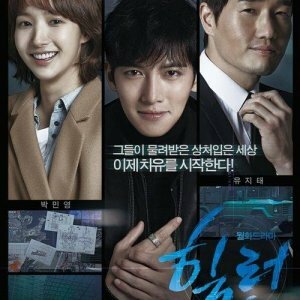 The most amazing Drama ever! I love Vampires & I love this Drama! I recommend this to anyone! I hope there is a season 2!! Lots of cool Vampire stuff! !